Bagels, sandwiches, salt beef and pastrami have always been a big part of my life. Growing up in London and having regular Sunday trips to the East End with my father always culminated with a salt beef sandwich or a bagel. Living in the Cotswolds led to severe salt beef withdrawal, but as luck would have it I met my foodie partner and friend Nina. 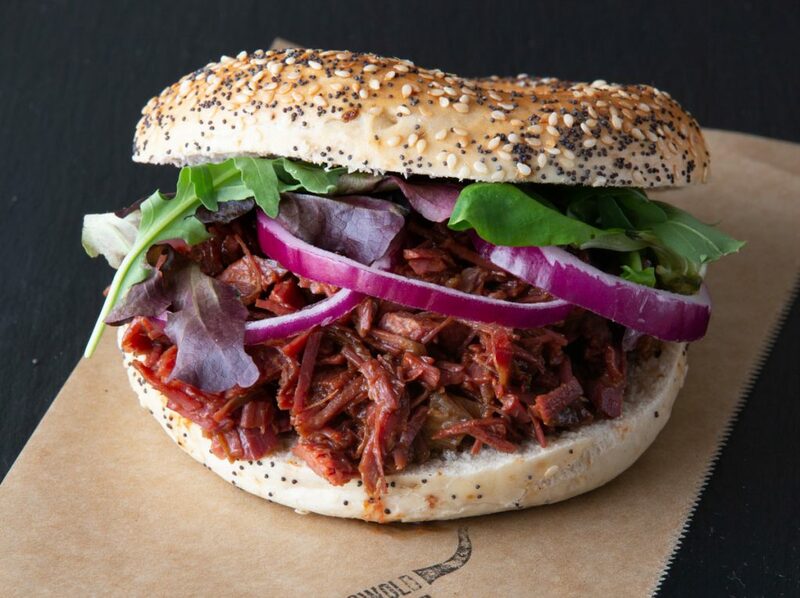 Coming from a family of butchers and bakers (not candlestick makers) Nina found the perfect combination in bagels and salt beef that rekindled her family roots. 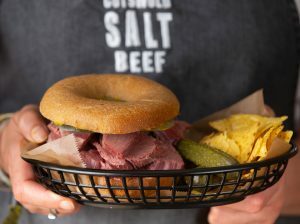 Our mission is to deliver the perfect salt beef and create a unique tasting experience of a traditional East End deli salt beef sandwich with Cotswold provenance. 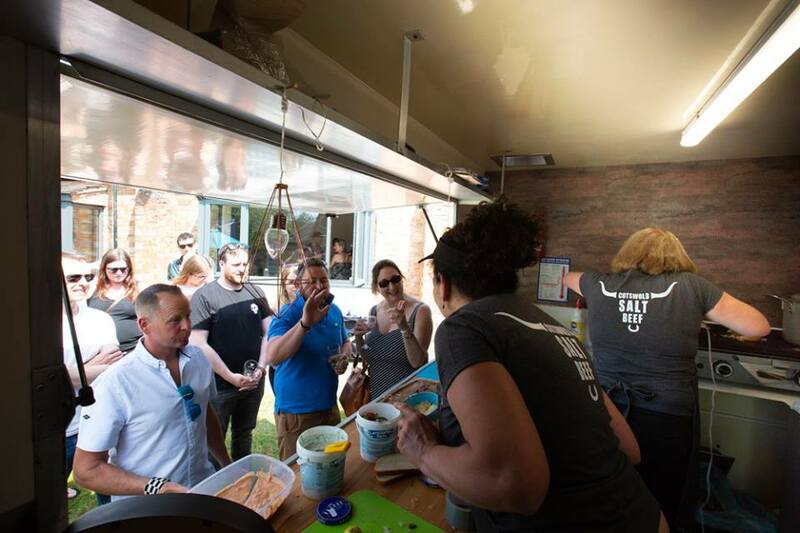 The Cotswold Salt Beef Company love a party. We are a friendly and professional service, an ideal alternative to a pig roast. We also offer a plated option with our selection of home-made sides, salad and desserts to wow all of your guests for all events. 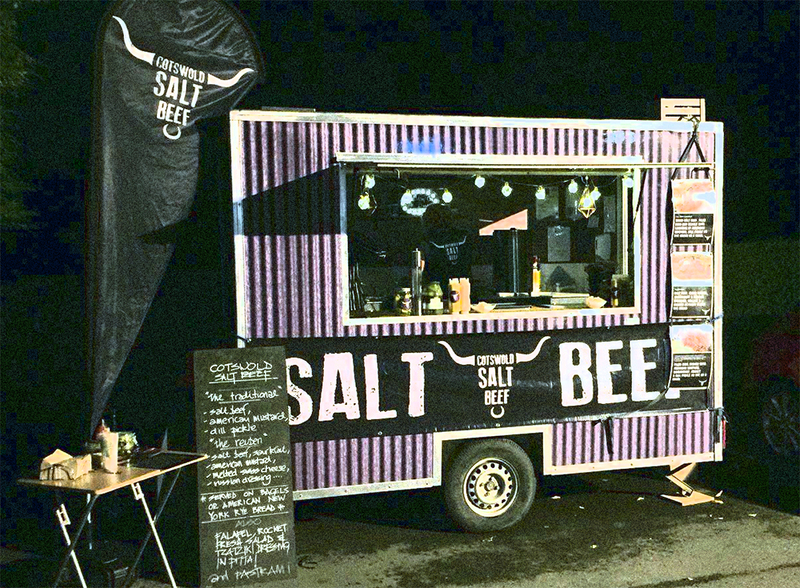 Our mobile catering is available for parties of all sizes, weddings, corporate events and festivals. Please get in touch for more details and bookings.